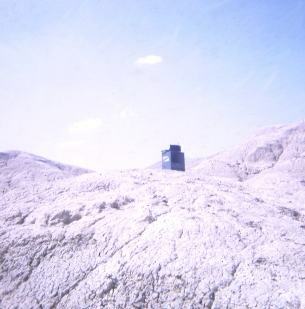 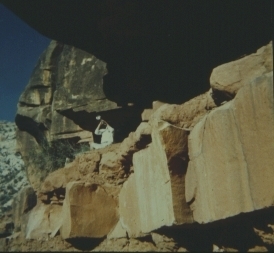 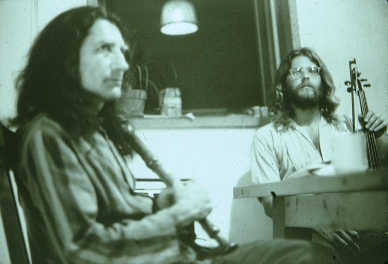 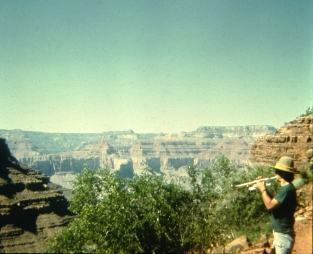 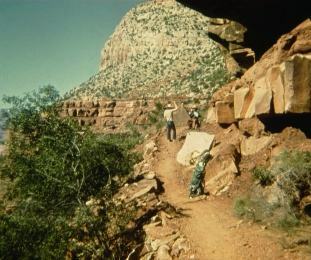 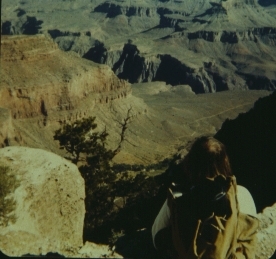 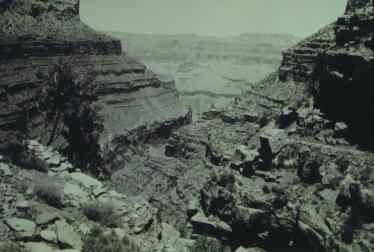 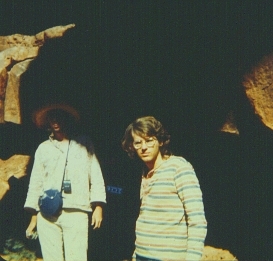 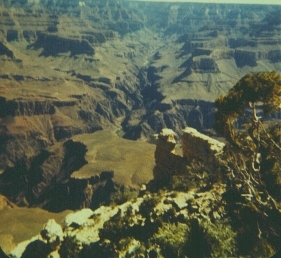 and David Savage in the Grand Canyon, Arizona, 1973.
and David Savage in the Anza-Borrego Desert, California, 1974. 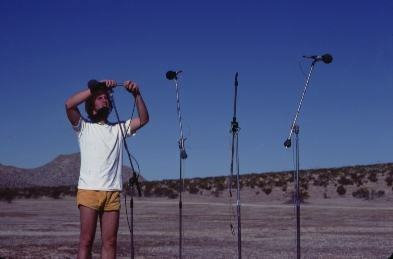 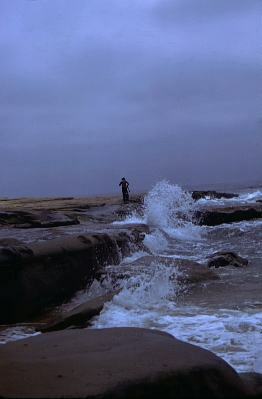 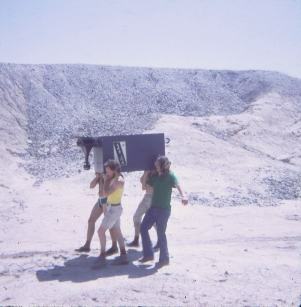 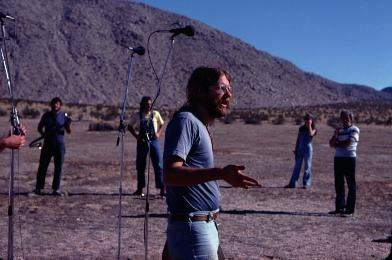 Images of Warren Burt and David Dunn at La Jolla, California, 1975.
in the Anza-Borrego Desert, California, 1977. 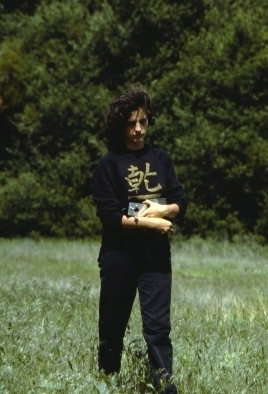 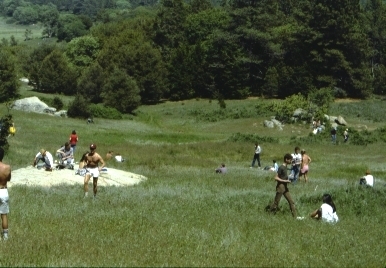 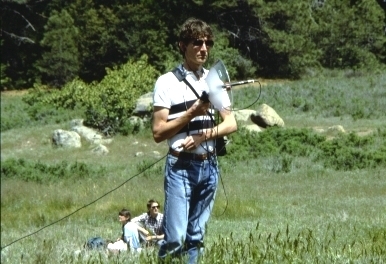 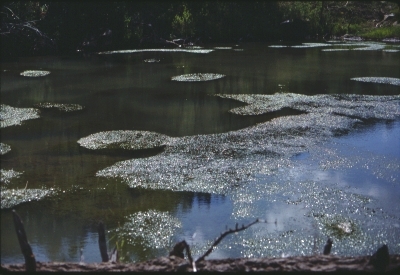 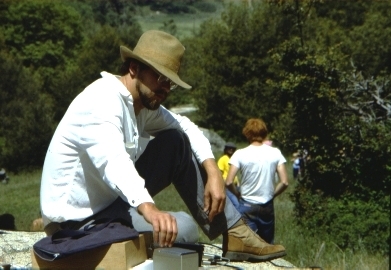 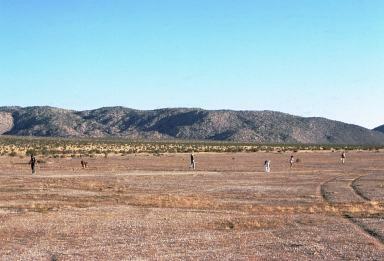 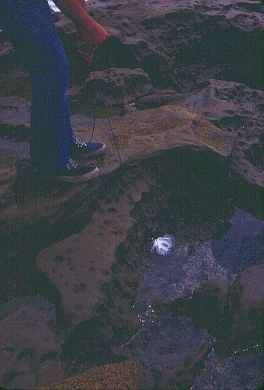 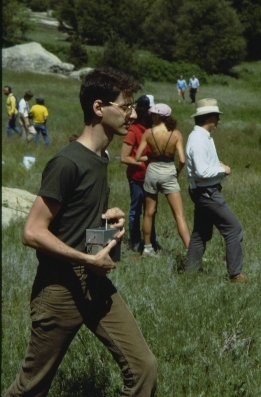 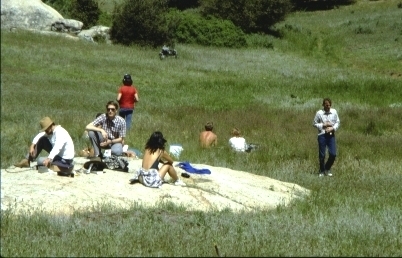 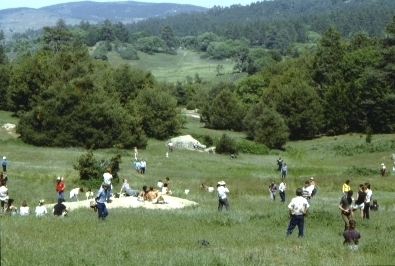 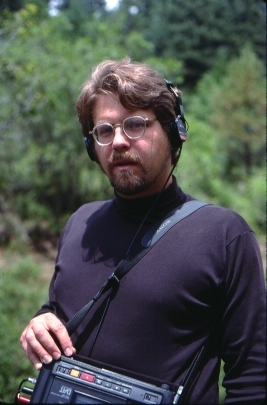 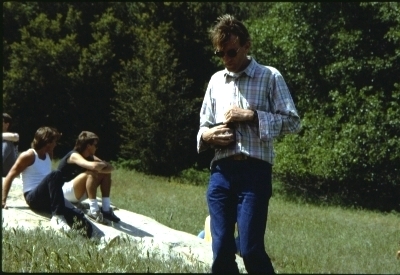 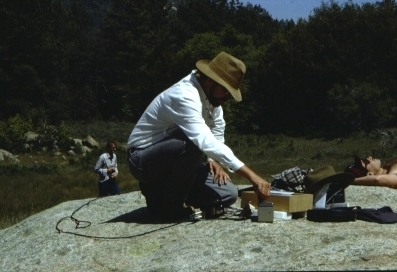 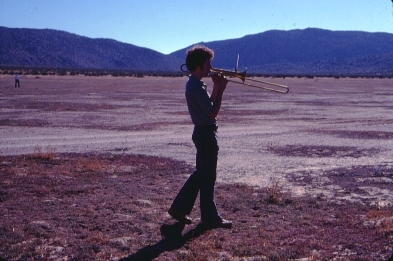 David Dunn in the Anza-Borrego Desert, California, 1979.
at the National Gallery of Victoria, Australia, 1981.
at Azalea Glen, Cuyamaca State Park, California, 1985. 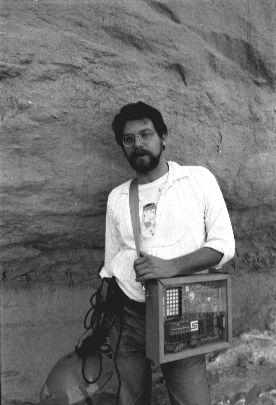 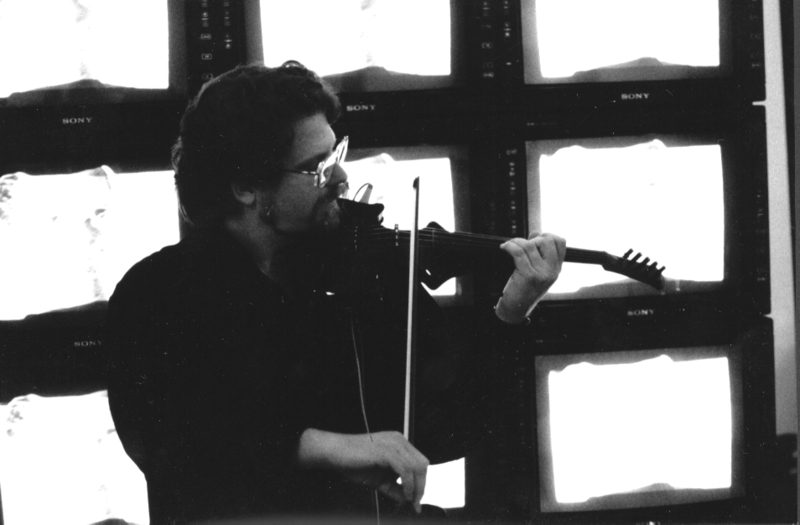 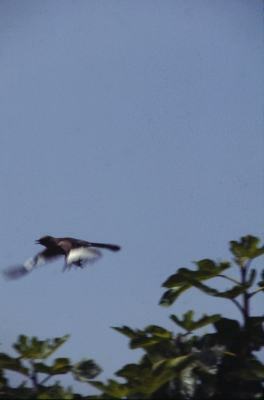 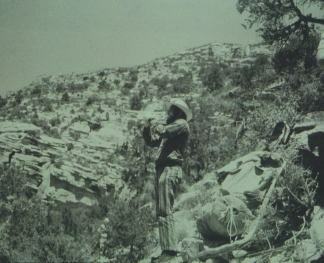 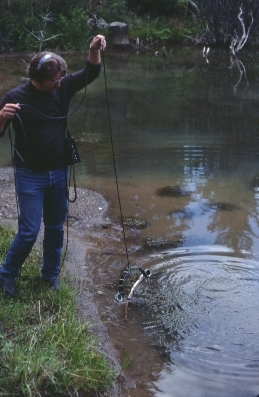 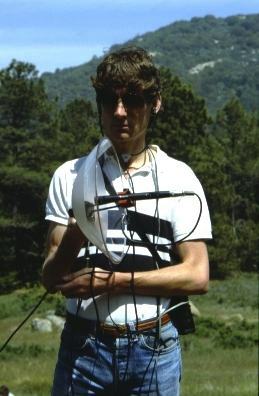 Image of David Dunn at Joshua Tree National Monument, 1986. 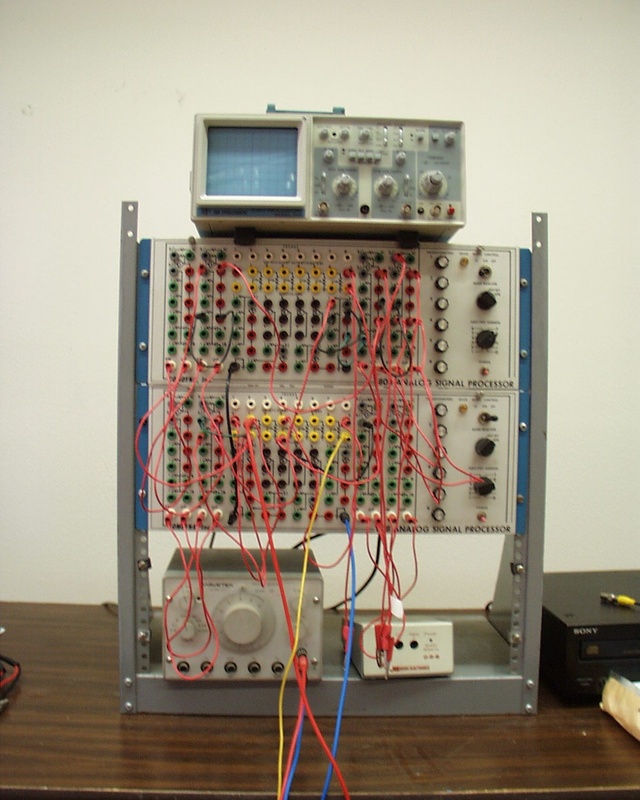 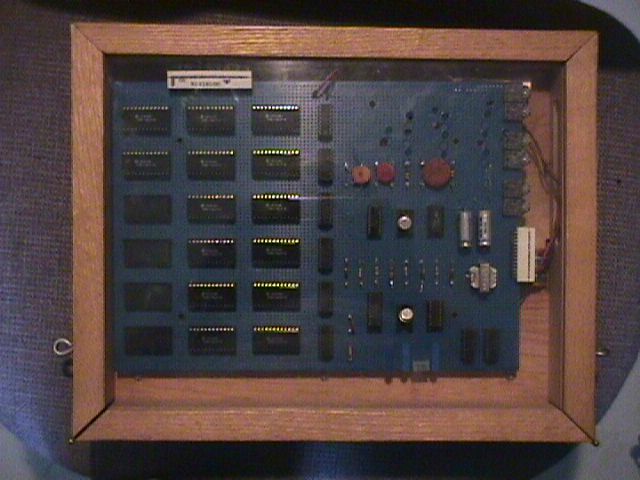 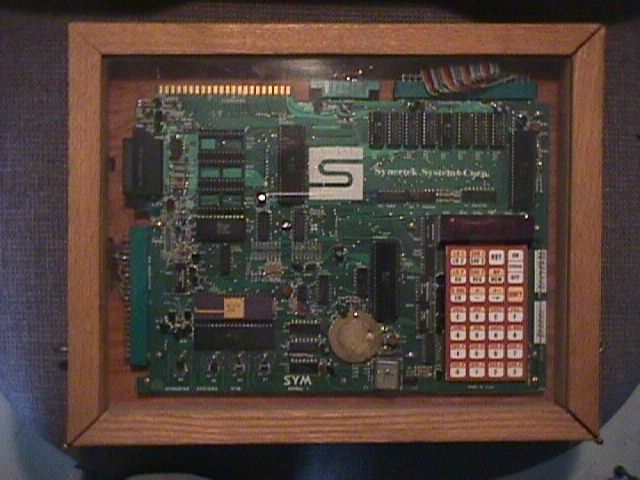 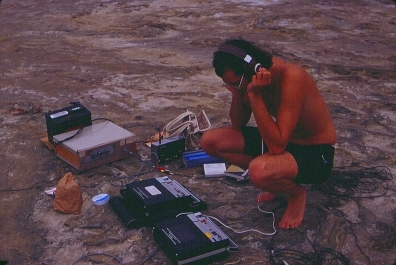 Backpacking computer for audio sampling and manipulation. 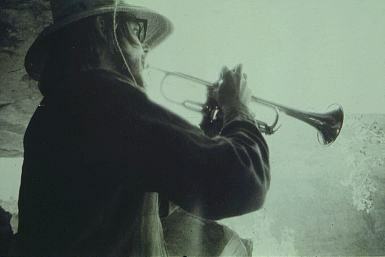 Images of David Dunn, Mora, New Mexico, 1989. 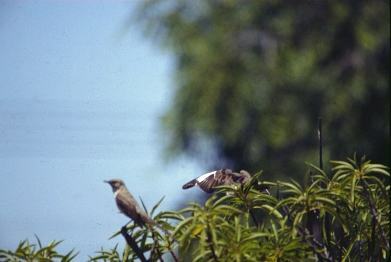 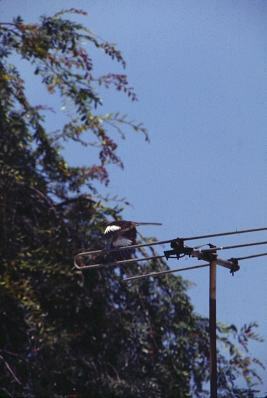 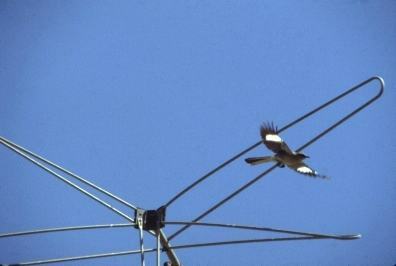 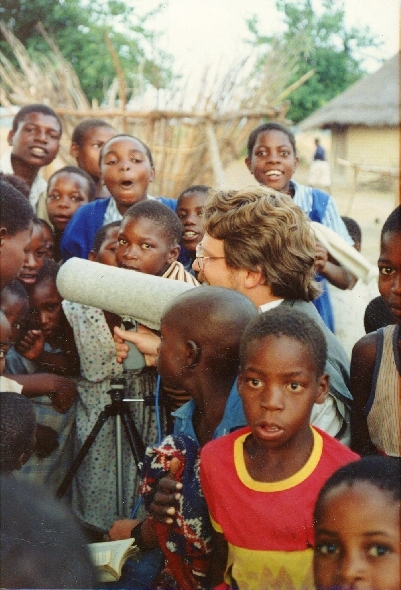 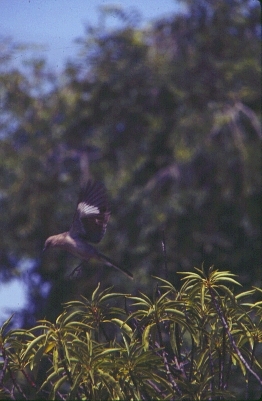 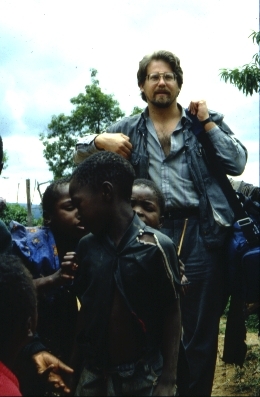 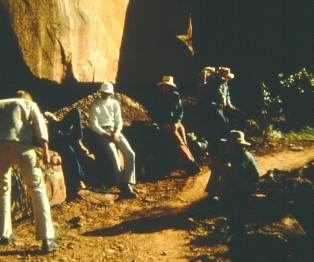 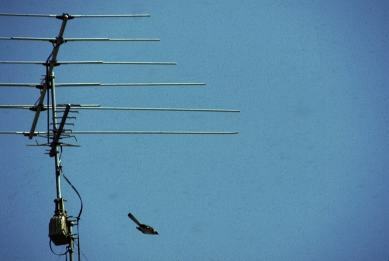 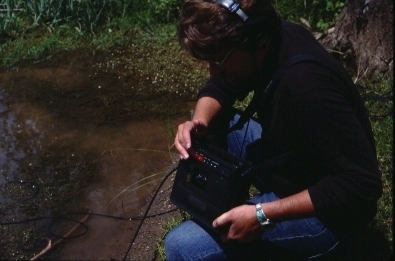 Images of David Dunn in Zimbabwe, Africa, 1990. 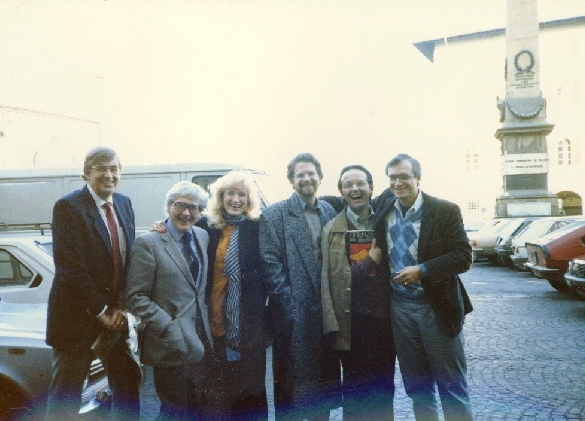 Ferrara, Italy, May 3, 1991. 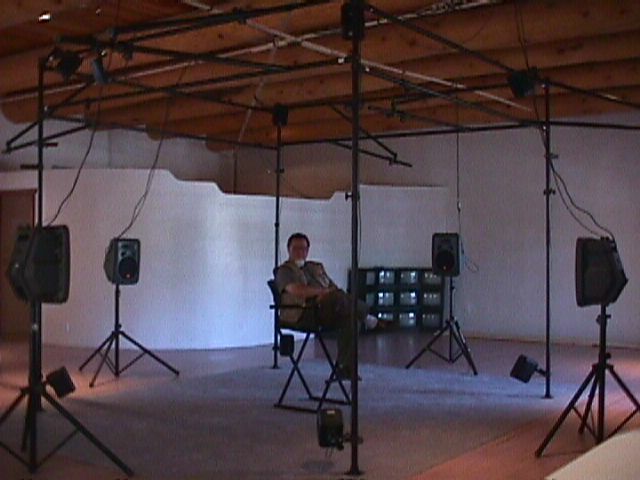 Installation view with Woody Vasulka at the Art and Science Laboratory, Santa Fe, NM. 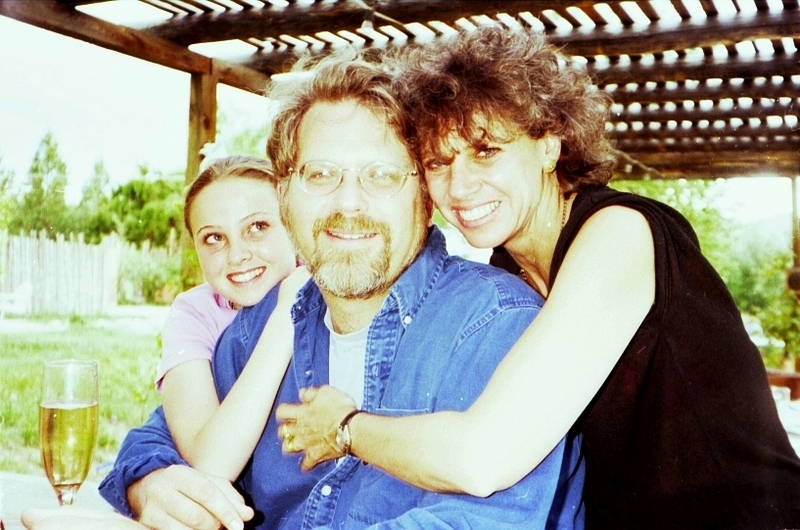 Katrina, David and Naomi, Chimayo, NM, 1998. 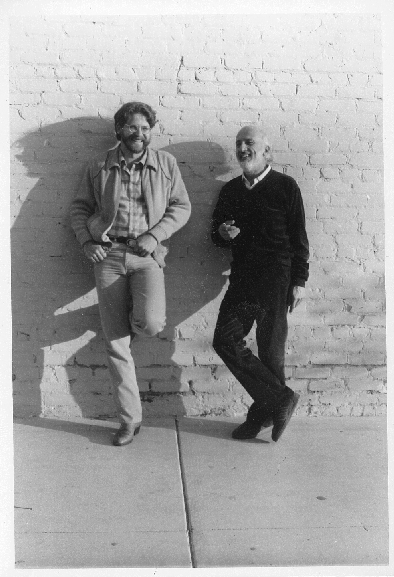 Jackson MacLow and David Dunn, Placitas, New Mexico, 1977. 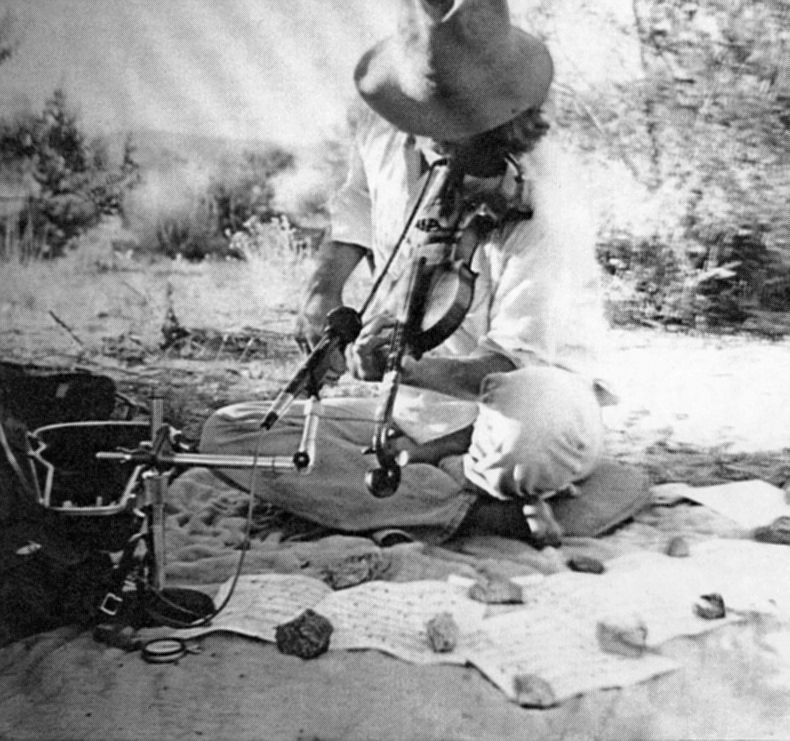 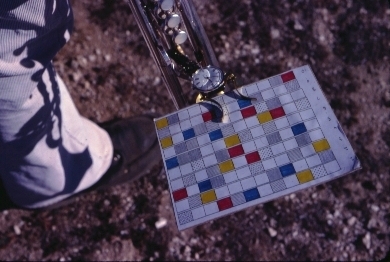 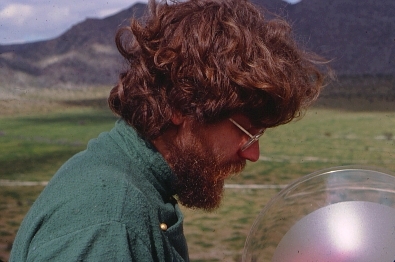 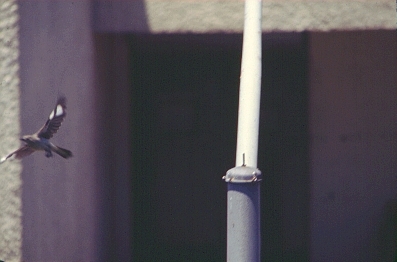 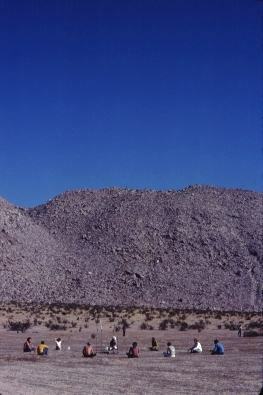 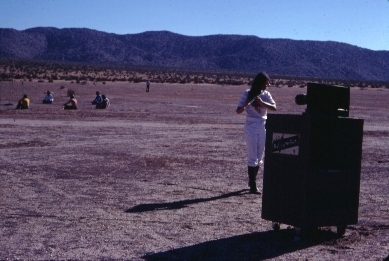 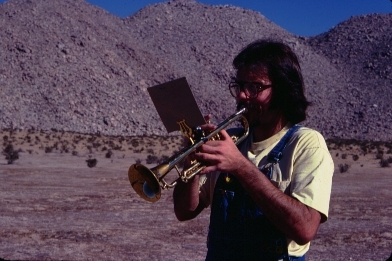 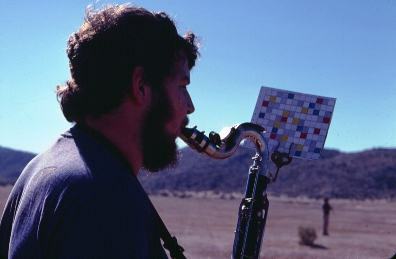 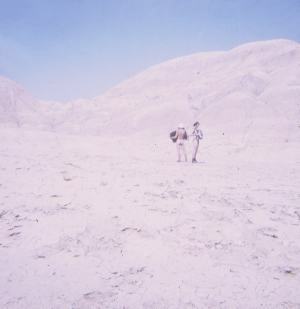 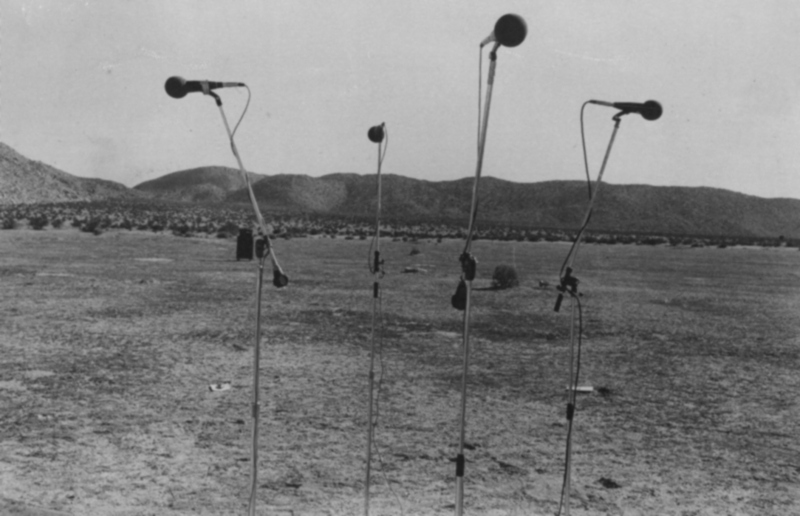 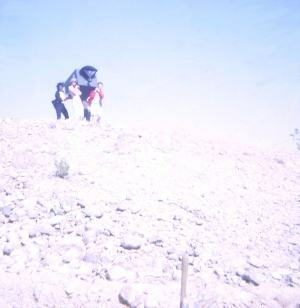 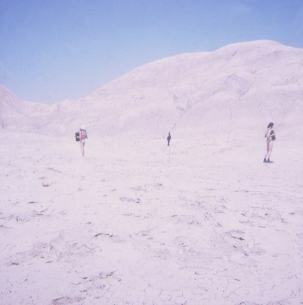 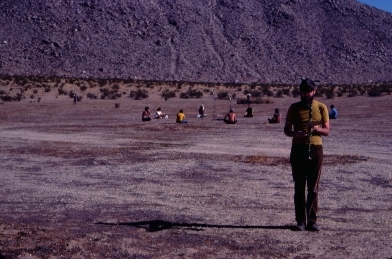 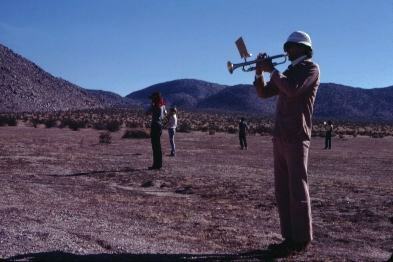 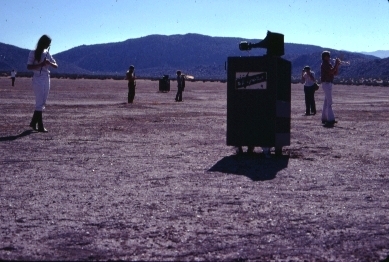 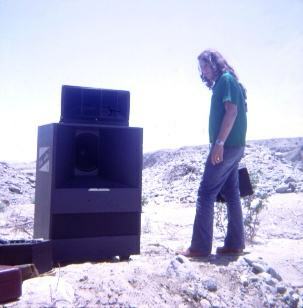 David Dunn in the Anza-Borrego Desert, 1978. 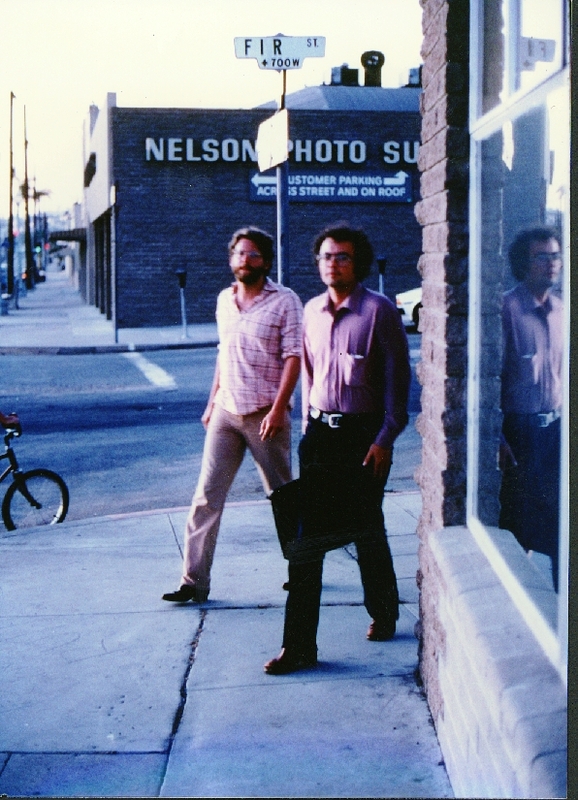 David Dunn and Kenneth Gaburo, San Diego, 1979.
and Francisco Varela, Florence, Italy, 1986. 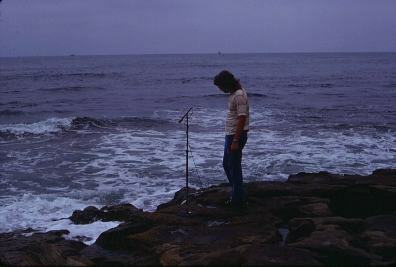 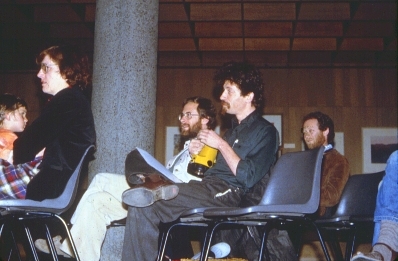 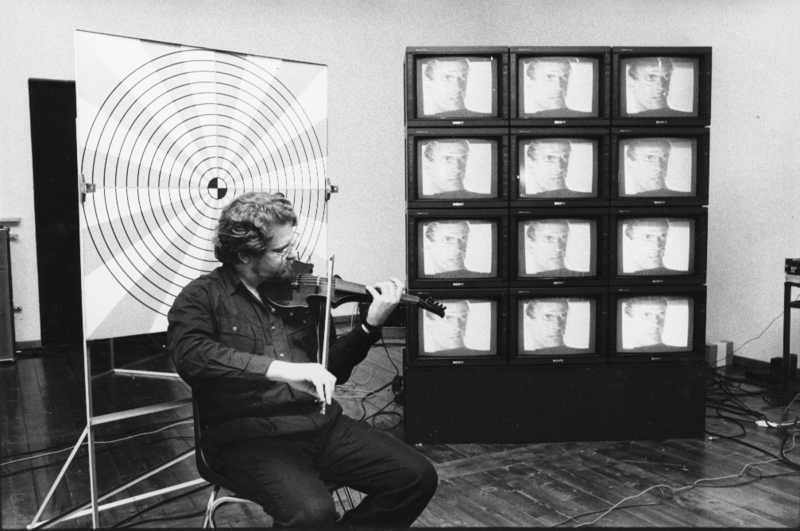 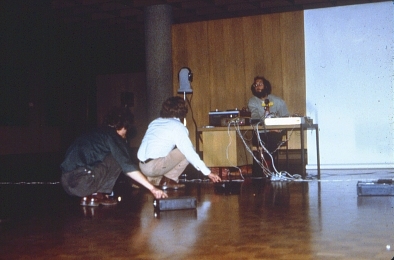 David Dunn, Norman Lowrey, Alvin Lucier, and Diane Porter, Leucadia, CA, 1977. 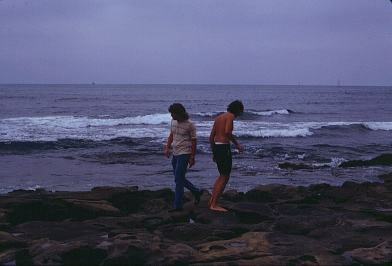 David Dunn and Robert Paredes, San Diego, CA, 1976. 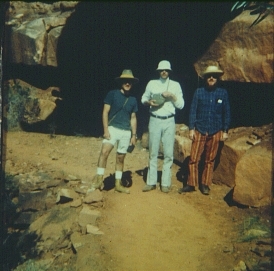 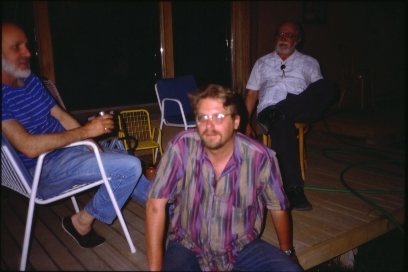 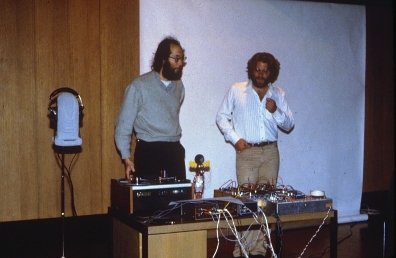 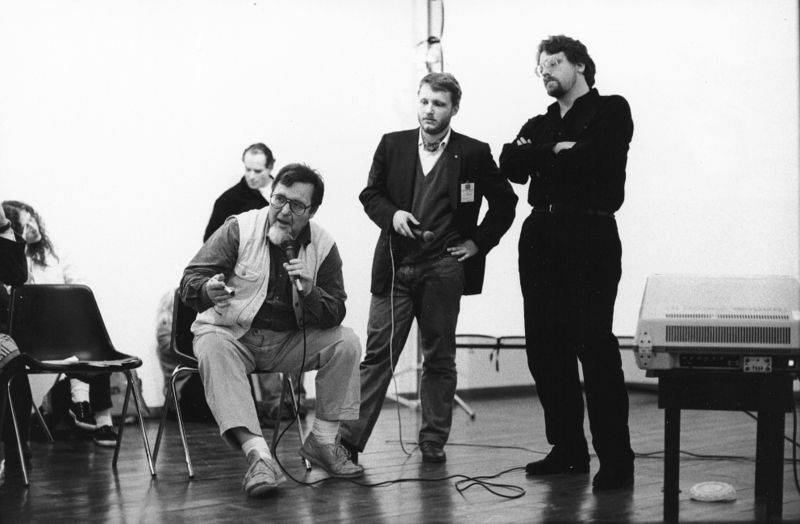 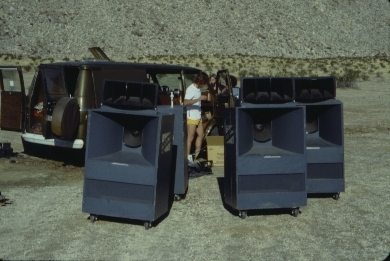 Larry Austin, David Dunn, and Morton Subotnick, Pecos, New Mexico, 1990.